The Innerlife STS System assumes that scientific research is the most useful and valid foundation on which to establish both the efficacy and the effectiveness of an intervention. 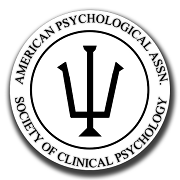 "Objective initial assessment to inform treatment planning, and periodic reassessment to determine the need for continued treatment, are the sine qua non of effective psychotherapy. The Innerlife STS provides this critical information and is invaluable to determining the outcome of therapeutic interventions."